Homeowners, real estate agencies, municipalities, and affordable housing advocates are focused on the newly expanded state lodging tax that will impact seasonal rental properties this summer. The law was passed in the wake of upheaval in the rental industry caused by the rise of Airbnb and other online rental services. To some, the levy, intended to level the playing field between hotels and short-term home rentals, is a newfound bounty to be tapped. To others, who may have rented out their guest houses here and there, it’s part bureaucratic burden and part privacy intrusion. 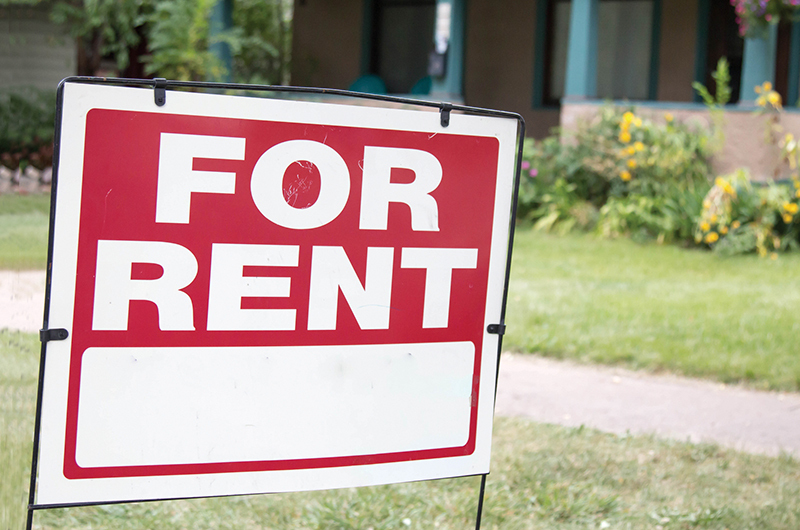 Regardless of where you land, rental tax is now a reality in Massachusetts, as it is in the rest of the New England states. But starting on July 1, rentals for fewer than thirty-one days, which represent the majority of summer rentals on the Vineyard, will be charged a 5.7 percent state tax. The law also permits municipalities to add their own existing lodging tax of up to 6 percent. Aquinnah, Chilmark, and Edgartown each have a 4 percent lodging tax, which means renters in those towns will pay a total of 9.7 percent. Tisbury and Oak Bluffs have a 6 percent lodging tax, which adds up to 11.7 percent on short-term rentals. West Tisbury has never imposed a lodging tax, but will ask voters to enact a 6 percent tax at annual town meeting. At press time, there was no link on the Department of Revenue site to register rental properties, and towns were scrambling to determine their responsibilities under the new law, including whether they need to enact local regulations and an enforcement mechanism to monitor seasonal rental properties. Talmadge’s website, which showcases listings for the Cape and Islands, now lists the taxes with every property, but she says it’s too early to determine if the new tax will deter renters. Also unknown is the degree to which owners will be forced to lower their prices to offset the taxes, which are technically paid by the renter. As of early February the indications were mixed: rentals were up on the Cape, flat on Nantucket, and slightly down on the Vineyard. Real estate agents, meanwhile, are hedging their bets, hoping that the added regulations might encourage homeowners to use their services. Anne Mayhew, the owner of Sandpiper Rentals, Inc. in Edgartown, said to assist homeowners they’ve contracted with an insurance company to offer the $1 million policy as an umbrella to their existing rental insurance. Over at Wallace & Co./Sotheby’s, Bill Rossi, who is also a Chilmark selectman, had two reactions. He noted that as real estate companies move to assume new burdens of registration, tax collection, and insurance, more owners may choose to list through an agent. But he also wonders if the law creates additional responsibilities and expenses. For example, other than relying on self-reporting, whose responsibility will it be to identify every cottage or extra bedroom rented out by the day or week? Not surprisingly, there are off-Island companies angling to get in on the action. In a presentation to Edgartown health agent Matthew Poole and Martha’s Vineyard Commission (MVC) executive director Adam Turner, representatives from software company Host Compliance outlined services it provides for 150 local governments across the country. According to company founder and president Ulrik Binzer, Host Compliance identifies rental properties, ensures that owners pay their share of the lodging taxes and/or registration, and operates a 24/7 complaint line for neighbors who experience the downside of short-term rentals when summer can be one big party for vacationers. With a reported cost to the town of close to $70,000 annually, the company proposes adding a $250 registration fee to be paid by the homeowner or agent each year to offset the expense. “To operate a vacation rental is a privilege, not a right,” said Binzer. “The average nightly rate in Edgartown is $800, and even with a licensing fee owners will still make out very well, and taxpayers wouldn’t have to pay for that cost. Indeed, the revenue to the towns could be significant. The MVC took a look, estimating the average weekly rental at $3,000 over a ten-week season. For Edgartown and Oak Bluffs, the MVC estimates new revenue of more than $2 million, with Tisbury netting $1.3 million and Chilmark nearly $800,000. Even Aquinnah would see a treasury boost of almost $200,000. Those numbers have attracted lots of attention. Affordable housing advocates have approached each town to place articles on the annual town meeting warrants to create a housing bank modeled after the Martha’s Vineyard Land Bank. Advocates see the tax as a reliable revenue stream and seek a 3 percent earmark from the tax generated by each town.